These are highly-awarded and recognized courses, each with their own exceptional challenges and terrain. This is a great opportunity to play top courses designed by golf royalty at greens fees far below the norm for this quality of course. Golfers can play Myrtle Beach-area, award-winning courses this September for greens fees nearly 50 percent below customary fall rates, thanks to a special offer from course owners Founders Group International, Inc. (FGI). 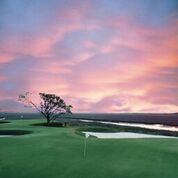 Golfers can book two rounds on any of five courses designed by Arnold Palmer and Jack Nicklaus, and pay greens fees starting at just $80 per golfer for both rounds. The five Palmer and Nicklaus courses available under "The King And The Bear" package are the King's North, SouthCreek and West courses at Myrtle Beach National Golf Club, Long Bay Golf Club, and Pawleys Plantation Golf and Country Club. Arnold Palmer's King’s North offers several of the Grand Strand’s most memorable holes, including the par 5 hole, “The Gambler.” Golfers can choose to hit the driver long enough over an expansive water hazard onto an island fairway for a good chance of getting to the green in two or take the safe layup and a short approach over water for the more conventional three-shot hole. The course also delivers a dramatic ending with the par 4 18th, which features an array of 40 bunkers. Golf Digest’s “Places to Play” has awarded King's North 4.5 stars. SouthCreek features waste bunkers, dogleg fairways and undulating greets that challenge golfers to focus on accuracy, not distance. It does offer good scoring opportunities throughout the round at several memorable holes. The West Course is carved through secluded Carolina pines. It has a traditional layout with wide fairways and large greens, making it enjoyable for players of all abilities. It finishes with a lengthy par 3 that features water running down the entire left-hand side. Bordered by a 600-acre nature preserve, Pawleys Plantation is a course where Nicklaus carved out formidable par 4s, beautiful par 3s and memorable par 5s along the marsh and creek that divide Pawleys Island from the mainland. Laid out among the 200-year old moss-draped oaks, it is a Lowcountry favorite that has received numerous accolades from Golf Digest, Golf Magazine and other national media. This year, the South Carolina Golf Course Ratings Panel ranked Pawleys Plantation Golf & Country Club among the top 50 golf courses in South Carolina. More information about the "The King And The Bear" package can be found at http://www.myrtlebeachgolftrips.com/kingbear. 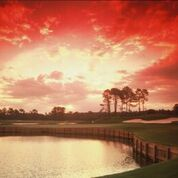 Founders Group International (FGI) is the foremost golf course owner-operator company in the Southeastern United States. Formed in 2014 through various purchases and the 2015 acquisition of National Golf Management, FGI owns and operates 22 golf courses (423 holes) in and around Myrtle Beach, S.C., America's seaside golf capital. FGI administers http://www.MBN.com, a leader in online tee time bookings, as well as package outlets Ambassador Golf and Myrtle Beach Golf Trips. With the help of Golf Insider’s 100 percent player-generated course ranking system, thousands of golfers plan and assemble their ideal golf itineraries through FGI’s assets, including “top-100 caliber” courses Pawleys Plantation Golf & Country Club, Grande Dunes Resort Club, TPC of Myrtle Beach, King’s North at Myrtle Beach National Golf Club, Pine Lakes Country Club and more than 80 other Myrtle Beach area courses. 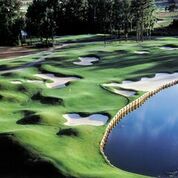 FGI also has a division that does residential and retail development, and it has partnered with one of the biggest travel agencies in China to bring golfers and wedding parties to Myrtle Beach, S.C.
More information about Founders Group International, is available at http://www.foundersgroupinternational.com, http://www.mbn.com or MyrtleBeachGolfTrips.com.